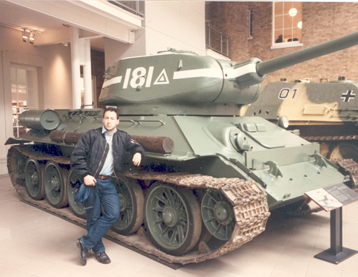 Lamont W. Harvey stands in front of a M3 Medium "Monty" Grant. Lamont W. Harvey is a former newsartist or "graphic journalist," currently working as a graphic specialist at Northrop Grumman Information Systems. He also coached soccer for 2nd-5th grade students at Hampstead Hil Academy near Patterson Park in Baltimore. 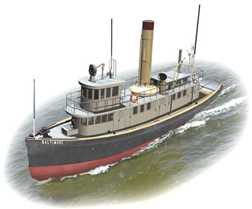 He specializes in brush and ink, oil paint, vector images and digital 3Dmodels. See the Lightwave tugboard graphic elsewhere on the web page. 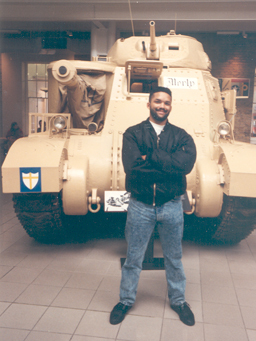 Mr. Harvey earned his Master of Arts in History at Morgan State University in Baltimore in 1994, writing a thesis on the 93rd division in WWII and smaller articles on black oyster packers in the Chesapeake Bay. He interned for the news art departments of the Roanoke Times, Greensboro News and Record, and Virginian Pilot in 1991-92. Worked full time for the Army Times in 1994 holding down a part time shift at the Washington Post. In 1997 he moved to the Baltimore Sun where he won 2 SND (Society of Newspaper Design) awards, numerous MDDC (Maryland Delaware and District of Columbia) Press awards, including best illustration in 1998 and 1999 for historical paintings of the Battle of Gettysburg and a drawing of the Battle of Bull Run, and won Baltimore-Washington Newspaper Guild awards for a 3-dimensional graphics on the restoration of the historic Baltimore and Ohio Railroad Museum the addition of a new battery at Fort McHenry and the restoration of the Tug Baltimore. Leaving the field of journalism in 2009 Mr. Harvey worked for General Dynamics Informaiton Technology in 2010 where he rendered graphics focused on medical care for wounded warriors. Mr. Harvey has also worked as a scenic artist for opera companies in Baltimore and New York prior to his career in journalism. 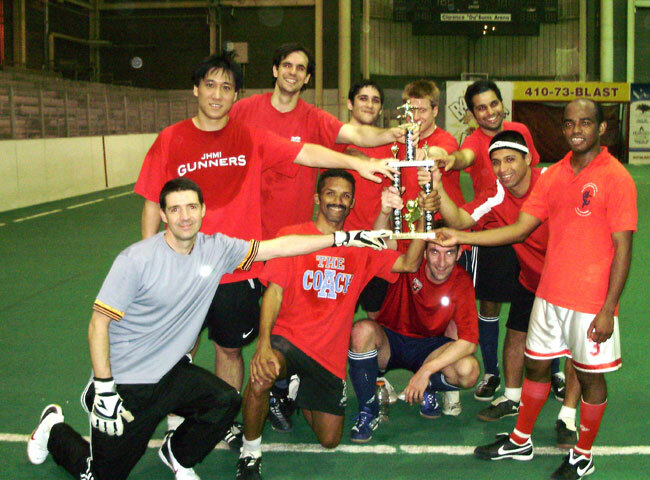 Leaving Slackers in 2005 he formed his own team named "Travelers" FC in Fall 2008. 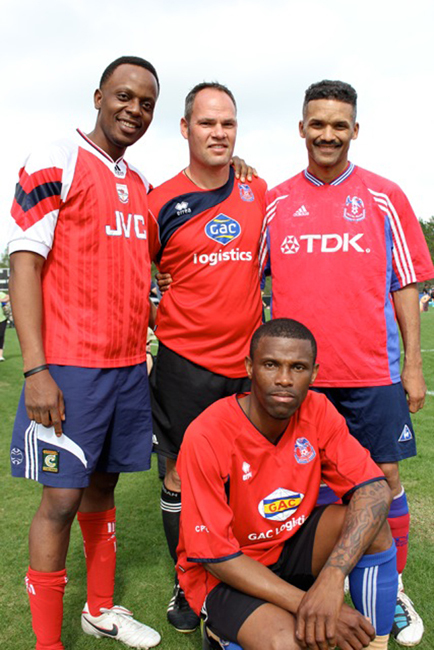 Rene Turner and Steve Chang contributed members from South Baltimore FC and Hopkins Gunners which had disbanded. 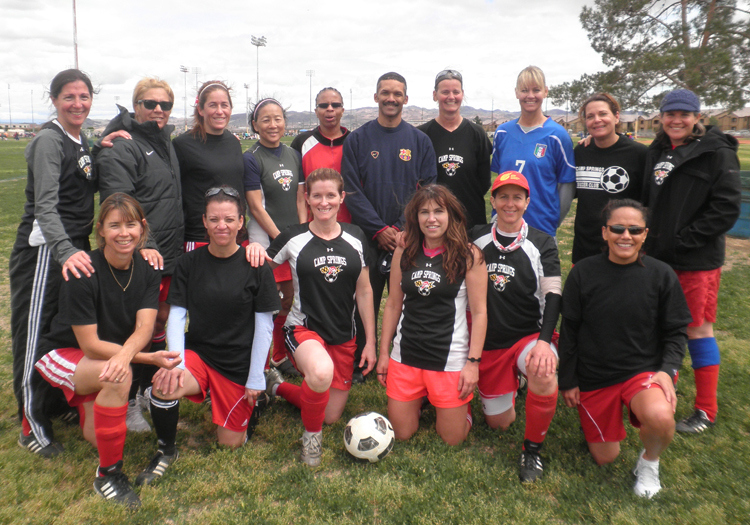 Winter 2009 champs in their first season. 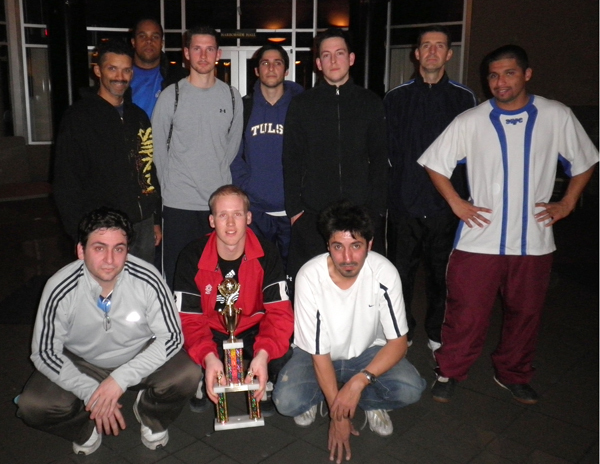 Summer 2011: After this season the team decided to move permanently up the the A-Division. This was followed by more than half of the team leaving. We recruited new players and had a record of 5-3 in our first season. 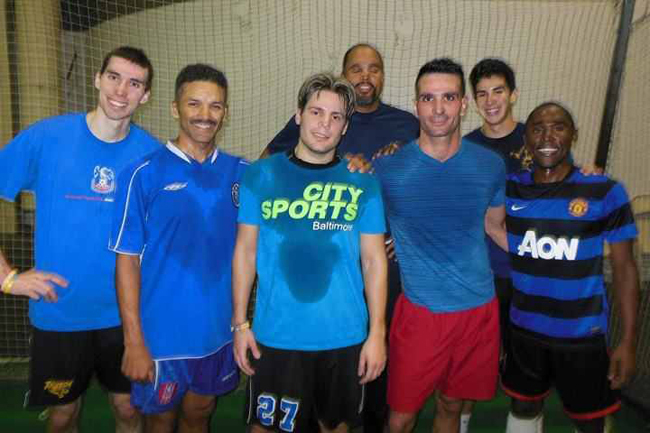 In 2012-3 we finally fought our way to the top of the A-Division. The Addition of speedy Zambian superstar Peter Lemata and the creativity of Moche Hochman we were able to beat Dundalk, Slackers and Charm City FC to win the championship. 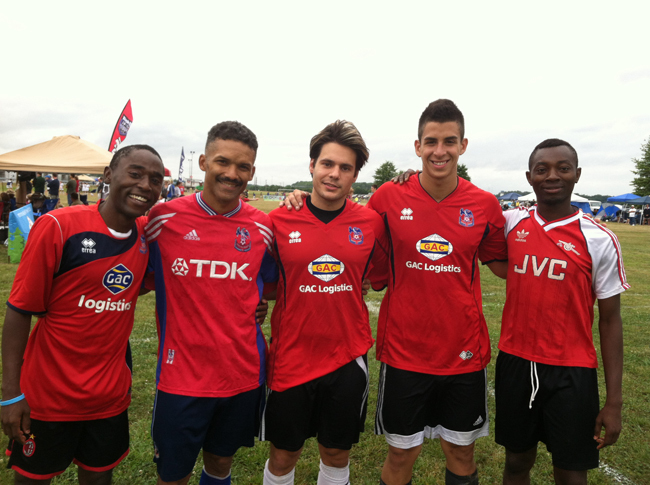 The Travelers 3v3 team had a good summer in Lancaster, Pa. in 2011. We beat Pikes, N.J. in the semi final and had a 2-1 lead in the final before losing 3-2 to an Anne Arundel team. 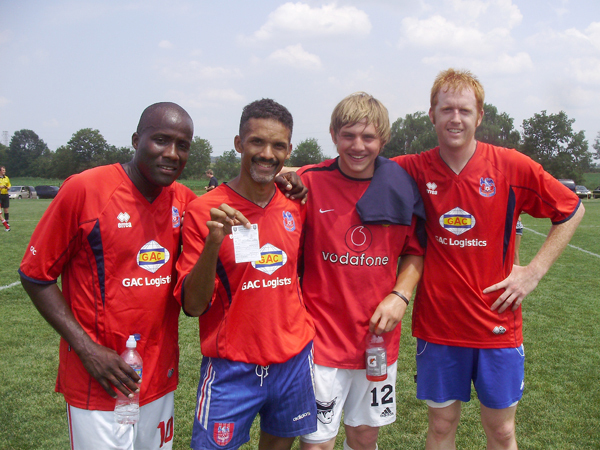 After a rough day one at the Lancaster Regional in 2010, we rallied to win the Rec semi final with only three players and won the final with one sub. 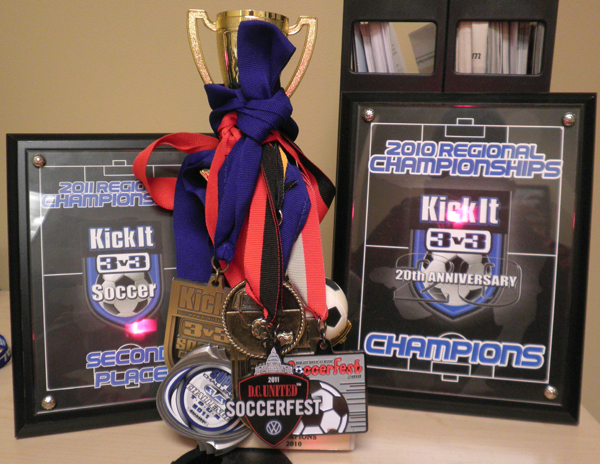 2010 and 2011 were very successful summers for the team. 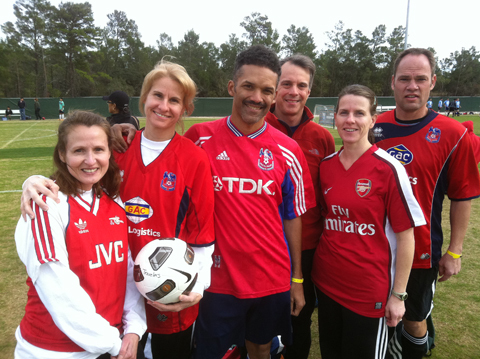 We won 5 out of 6 tournament in 2010 but played better in 2011 against tougher competition. Here is our trophy haul. 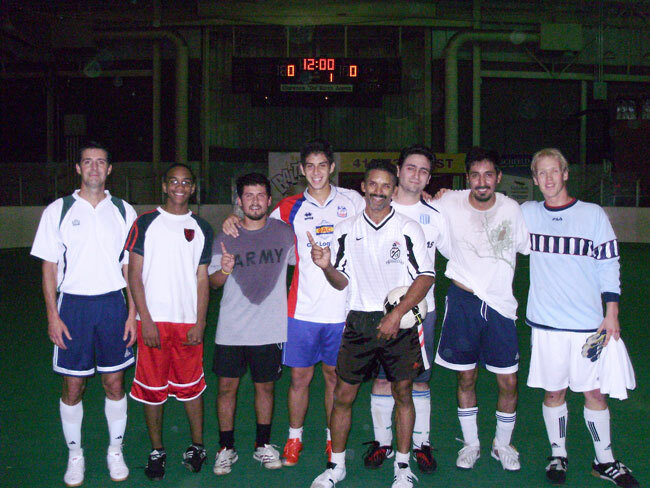 Travelers had a difficult time getting the guys to the National finals since 2008 so we played coed with members of the Comets. Bill from Atlanta joined us in this competition. 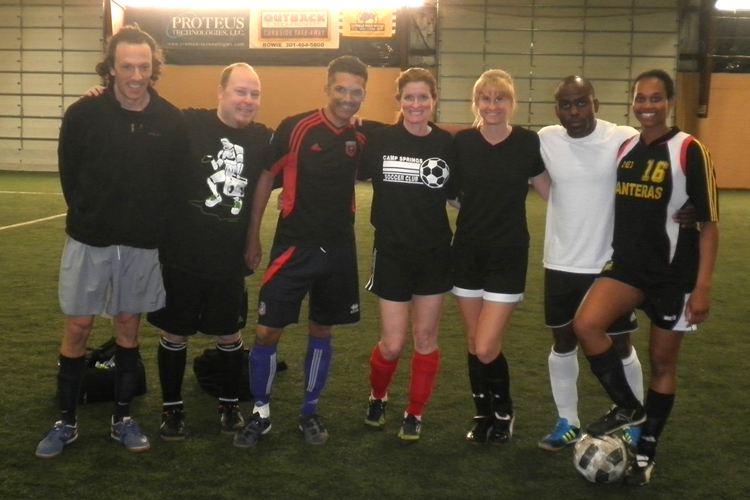 We put together an indoor coed team with Lisa Oxenham and won our division under the name Westham. 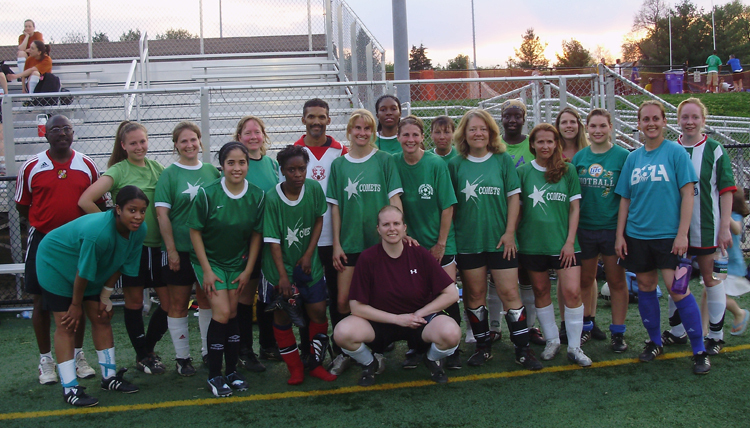 Comets FC second championship team in Spring 2009 in Howard County's Womens Division. We won the league four times between Fall 2008 and Spring 2010. Battling Thuner for the top spot. Fall 2011 we were second to Thunder. Many of our players moved on for work or other commitments after our years of success, but we have worked hard and continued fielding teams that are competitive in the A Division. 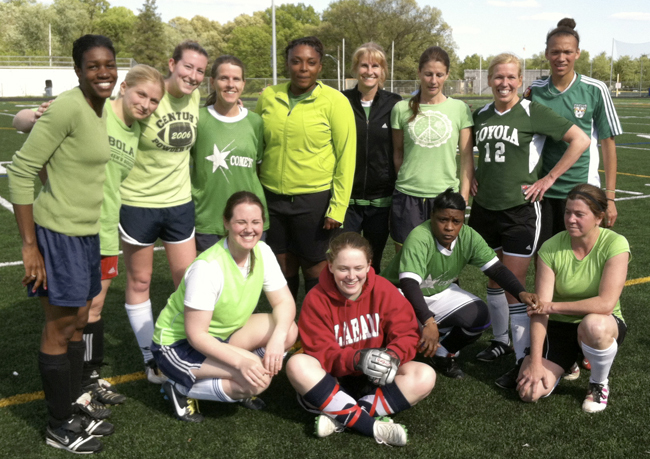 This team in Spring 2013 finished strong, winning 4 out their last five games. 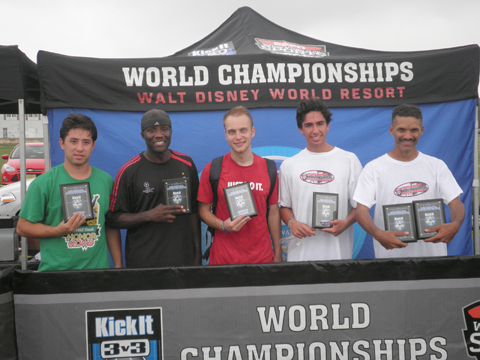 The Comets placed second in the 3v3 nationals January 2006. Camp Springs recruited me to coach them in Summer 2011 and April 2012 for tournaments. In the Friendship tournament we allowed only one goal in regulation... an own goal/deflection. Harvey attended art school in New York with Barry Brenig, right, whose father's story is featured in Invisible Soldiers.